The Markem Imaje 5800 large character inkjet printer represents the next generation of Touch Dry® Hot Melt technology delivering a superior print quality coding solution for your corrugate cases, trays and wrapping films. Markem-Imaje Touch Dry® Hot Melt inks are solvent free and environmentally friendly. Codes and images never bleed or fade, dry on contact and deliver 100% readable, GS1 compliant codes. Touch Dry® Hot Melt inks print on a wide range of substrates and in environments ranging from 0 to 40 ºC. The printer, boasting print speeds up to 182 m/min., can be equipped with optional printhead slide assembly optimising both print gap control and print quality. Cutting-edge communication capabilities include color touch screen, Ethernet, USB, and web user interface, providing increased flexibility and functionality to end users, integrators and OEMs. Optional CoLOS® Enterprise networking software is available for central management of data from remote databases or ERP systems. Advanced printer design provides quick start up and minimises overall energy consumption. 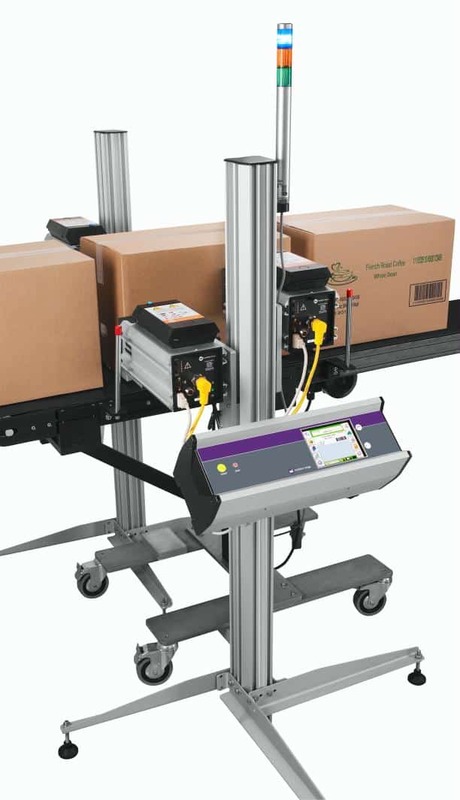 Uptime features include a unique programmable self maintenance system and ink reloading capability during operation. Touch Dry® solid ink blocks are easily handled for simple and trouble free operation.